In this upcoming holiday season do not stop using unlimited text messages by sending them to your contacts, friends and loved ones. Make this Christmas fulfill its main goal, which is to unite, fill with love and above all bring peace to all people of the world. If you are blessed to have around your family in this coming Christmas, use them to share a pleasant Christmas Eve. Otherwise if you’re away from them, contact and tell them what you feel in your heart for this holiday party. You have the option to send multiple messages at the same time so that you can wish a Merry Christmas to several people in just one click. 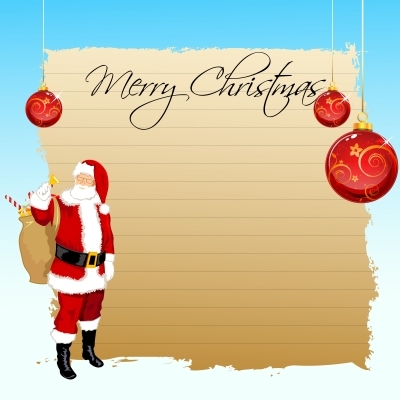 In the following article, we will give you some Christmas text messages that you can use to send them through your blackberry. Those lucky people who receive these messages will also want you to have a beautiful Christmas. -In this next Christmas all I want is that you would be happy in the company of your loved ones because there is nothing more beautiful than to spend Christmas with the people we love, Merry Christmas. -With all my heart I hope you have a wonderful Christmas dear friend, we’ve known for a long time and you know very well that I am not the person who likes to give gifts, however I will always give you my infinite love. -In the holidays, what everyone should do is to forget the wounds of the past and come together as one big family with big hugs to you and to all people of this planet, I wish you Happy Holidays Christmas. -The holidays are more than giving gifts; it is also more than colorful lights in the streets, what Christmas really means is to love our family and friends, Happy Holidays. -The birth of Jesus is the main reason why we celebrate Christmas; tonight let us earn your good Spirit to dwell in our hearts, Merry Christmas to everyone. -Christmas is coming, the bells are ringing, is the moment in which love radiates in our homes and all share like a big family, Merry Christmas. -Leave aside the work stress, forget for a moment any personal problem, the most important thing to do tonight is to love people who are our family, people who make us happy , for all my loved ones and friends Merry Christmas. -In each holiday celebration, I stay with a special memory, since people who appreciate me give me their love, they always give me the best of all that is love, I desire you also receive a beautiful greeting on this date, Merry Christmas. -The most beautiful thing in the world is celebrating Christmas with family and friends, if you also have the opportunity to spend time with them, give them a big hug and tell them how much you love them, Merry Christmas. Use these text messages sending them through your blackberry to your friends wishing Merry Christmas.